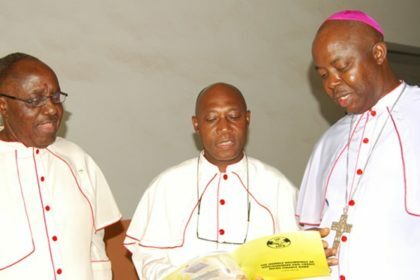 The Catholic Bishop of Enugu Diocese, Most Rev. 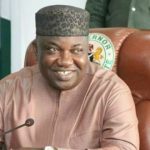 (Dr.) Calistus Onaga, has commended the developmental projects launched across Enugu State by Governor Ifeanyi Ugwuanyi since his inauguration, describing him as “a good man and a man to be reckoned with”. 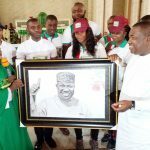 Bishop Onaga, who made the remark during the inauguration of the main entrance dual carriageway to St. Patrick’s College, Emene, Enugu, rehabilitated by the school authorities, said that the college has benefited immensely from the governor’s “kind gesture”. The cleric noted that prior to the intervention, the college’s roads were riddled with potholes and other infrastructural deficits, appreciating Gov. 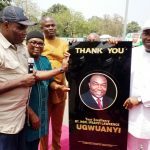 Ugwuanyi for his giant development strides across the state, including the Airport-Orie Emene-Obinagu road that leads to the school. “Gov. 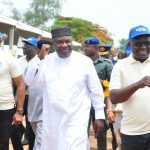 Ugwuanyi is a good man and a man to be reckoned with. We are proud of him because he is not a sectional leader. We are praying that God will continue to protect him to enable him to complete the myriads of projects he is embarking upon in Enugu State. “The governor has asphalted many roads including the one leading to the school from the airport. He also handed over schools to missionaries thereby providing us the opportunity to support the government in giving succour to our schools. He has also been assisting us financially and morally and this school is not the only beneficiary of such gesture. 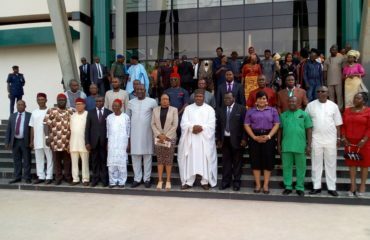 C.I.C., Enugu, St. Theresa’s, Abor, among others are now wearing a new look”, Bishop Onaga said. Also speaking, a prominent old boy of the school and former minister of power, Prof. Barth Nnaji, described the governor as a gentleman that has proved his mettle in all areas of governance since his accession to office. Prof. Nnaji stated that road construction was the bedrock of all developments, adding that the governor is “doing marvelously well in this area despite the lean resources of the state,” and has provided security, pays salaries, among others. 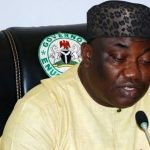 According to Governor Ugwuanyi who was represented by the commissioner for works and infrastructure, Engr. Greg Nnaji, the current infrastructural development in the state is consistent with his administration’s resolve to create more urban centres and decongest the capital city. Engr. Nnaji added that new roads have been asphalted across the state, stressing that health centres have also been built, while places that lacked electricity are now enjoying the facility. “We are all witnessing the conducive environment being provided by the current administration. 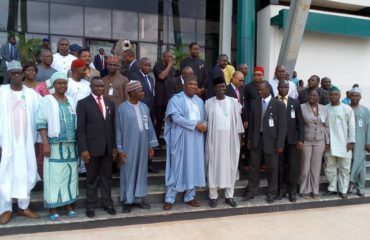 Many investors are now coming because Enugu is a place you can sleep with your two eyes closed,” he said. Also inaugurated at the event were renovated dormitories and a host of other projects.